What makes Antik roller skate boots so special? Before now, there really wasn't a roller derby specific boot. Antik changes the game. 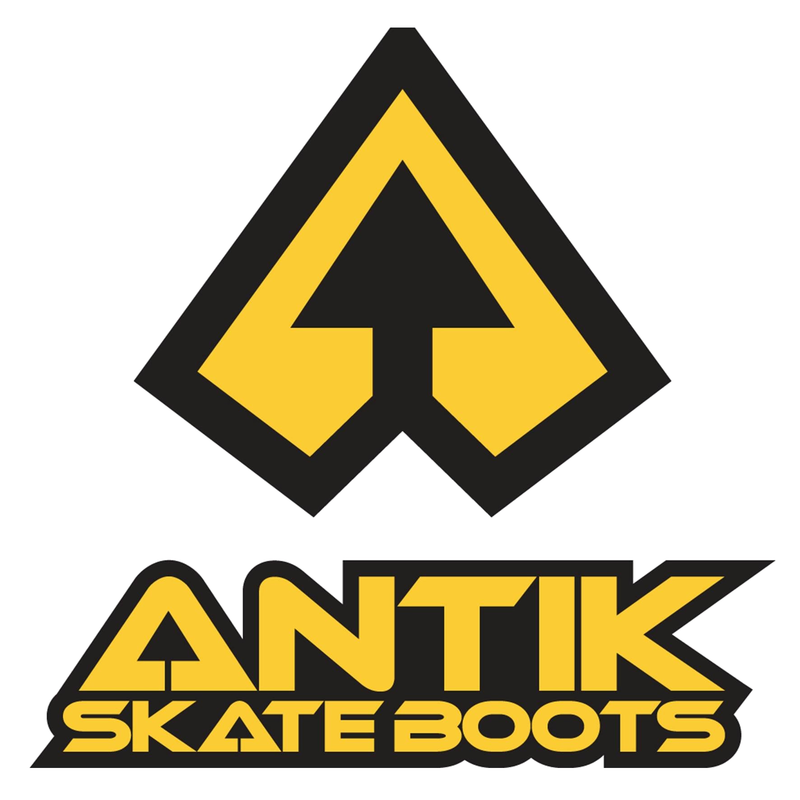 The most comfortable and technical roller skate boots on the market, Antik Skate Boots are hand-made by craftsmen with decades of boot production experience, who spare no expense, and only use the highest quality materials to ensure comfort, performance, and durability. Antik Skate Boots are made in the USA to the exact specifications and requirements necessary for todays modern day roller derby skaters. The Antik AR-1 roller skate boot is fine-tuned for roller derby, featuring 3/4" uppers for ankle support, genuine full-grain leather, lacing loops in the back for extra heel security. Check out the addition of an integrated, shock-absorbing heel with a leather sole. The boot looks flat on the bottom, which allows for full contact between the boot and plate to eliminate flexing in the heel gap. But the heel is integrated into the boot, giving you the benefits of a skate heel. Antik AR-1 boots also feature heat-moldable counters on both sides of the boot to provide resistance for side-to-side lateral movements. Other derby skates only have counters on the outer right side, like speed skates, which only give counter pressure on the right pusher foot for making left-hand-turns. But Antik AR-1 skate boots meet the needs of modern roller derby players, who don't just skate laps, and need counters on both sides for juking and quick-stepping. Antik AR-1 boots also feather genuine leather interior lining, which mold to your feet as the leather softens, and offer a more precise fit because the liner won't break down over time like synthetic liners. Antiks also come standard with a split D/B last. That means the width of the boot is a D (medium) and the width of the heel is a B (narrow). This combination is great for women because skates are usually sized in men's sizes, but women tend to have narrower heels. Having a heel that fits properly is essential to skate fit, as having your heels move around in your skates greatly reduces your control.